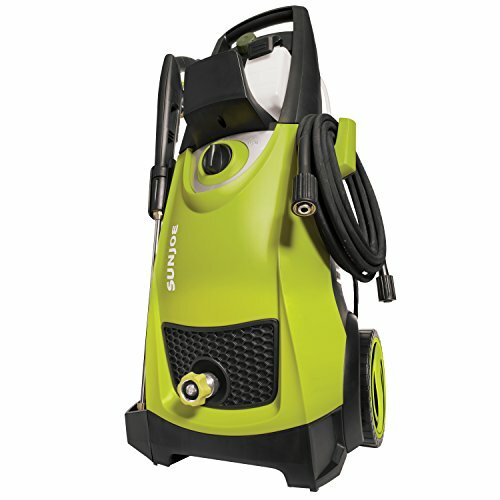 The Sun Joe SPX3000 is an extremely affordable powerhouse pressure washer which has a performance and specifications which are on par with models which far exceed its price. With ample power for household tasks and a reliable rate of working pressure, Sun Joe delivers outstanding value. Carrying features such as dual detergent tanks and no less than five nozzles, this is a tool which towers above most competitors. Here we’ll be showing you what places it among the best budget electric pressure washers available to the home consumer. Sun Joe’s SPX3000 is a versatile pressure washer designed for a variety of cleaning tasks around the home, exterior buildings, RVs, and vehicles and boats of all types. 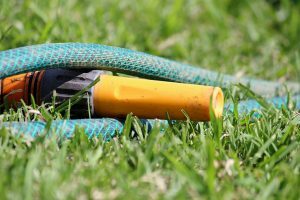 It makes cleaning patios and lawn equipment effortless, while the high-pressure capabilities ensure that oil stains and inset grime and gunk stand little chance. Easy to maneuver and encompassing of everything from safety to ease-of-use features, the Sun Joe SPX3000 makes for a good all-around choice. The Sun Joe SPX3000 Pressure Joe 2030 Electric Pressure Washer is the perfect unit for customers looking for long-lasting durability which won’t break the bank. 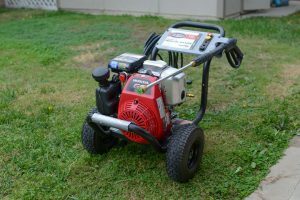 It’s great for use around the home and is one of the most reliable electric pressure washers around. It’ll work in almost any weather condition and it can be used for several hours on end. 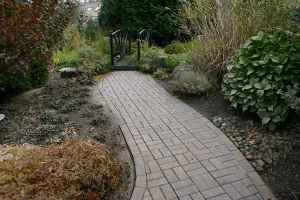 It’s a great match to large yards, workshops or places which have multiple patios or long driveways. You get a pressure washer which features a 14.5-amp/1800-Watt motor which pushes out 2030 PSI at 1.76GPM. 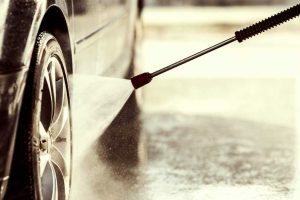 The unit supports a maximum water temperature of 104° Fahrenheit and has five quick-connect spray tips tapered to 0°, 15°, 25°, 40° and a soap setting. Two 0.9L (0.23 gallon) removable detergent tanks are integrated, and you are given a 20-ft. high-pressure hose, 35-ft. power cord, and a garden hose adaptor. 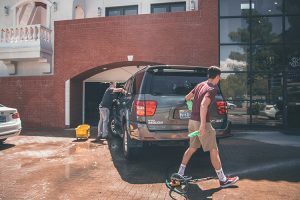 The 34-inch extension spray wand is great for two-story buildings and reaching tricky areas such as underneath a car. It’s an impressive package which supplies everything that you need to handle almost any situation despite its affordable price point. This CSA-approved pressure washer is strong enough to tackle light, medium- and heavy-duty cleaning. From the brass fittings and exchangeable tips to the quiet, efficient operation, this is a pressure washer which excels in almost all regards. The only minor issue is the one plastic connector to the water hose which has been found to strip its thread very quickly. Sun Joe has happily shipped a brass connector to those who have encountered problems but it would be better to buy one alongside your purchase of the pressure washer. It’s cheap enough. 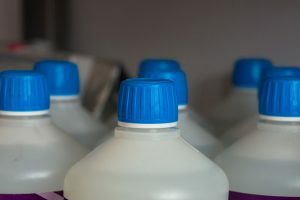 The pump is designed to allow soap to run through it and you are given two removable detergent tanks with a capacity of 0.9L or 0.24 gallons each. Users report that the best balance between power and efficiency is found in the 2.7 and 3.0 nozzles. The 2.7 is a powerhouse allowing you to work a surface very quickly. However, if you are going to be working a larger surface area over a prolonged period of time and you want to reduce backpressure on your pump then go for the 3 nozzle instead. You get a decent flow of around 1.45 GPM which is good enough to suit almost any task. If you want to use your pressure washing for concrete cleaning then you’d do better with a larger model. 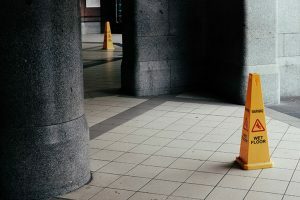 2030 PSI and an operating average of 1450 PSI are simply not enough to handle rigorous cleaning jobs like washing away concrete and rubble. The SPX3000 is strong enough to clean your driveway but not a dedicated concrete cleaning machine. 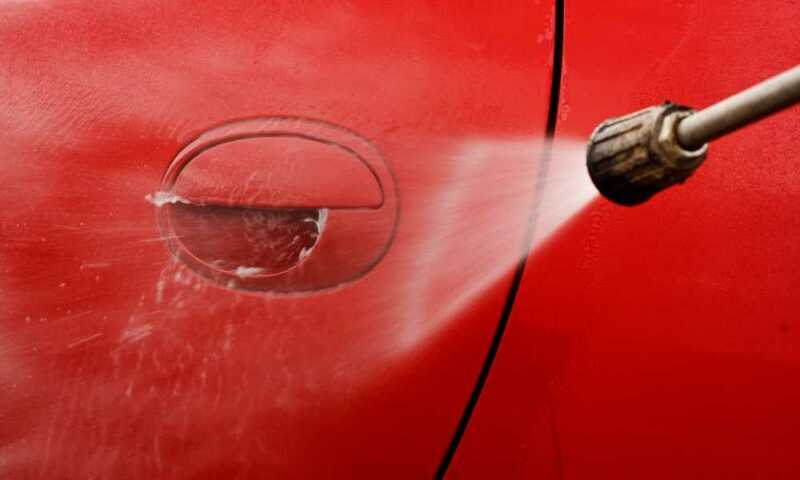 Instead, look towards to dedicated cleaning power of a gas pressure washer. 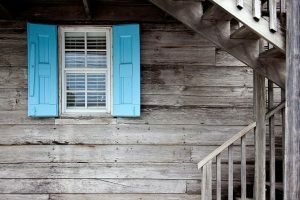 Yet, as an all-around household high-pressure washer for infrequent use, it excels. At its price, the Sun Joe SPX 3000 Pressure Joe 2030 PSI Electric Pressure Washer is a steal. It matches units far exceeding its price in power, performance and long-lasting durability. The single-stream performance could be better but all the other nozzles function flawlessly giving efficient, steady pressure and a decent rate of flow. 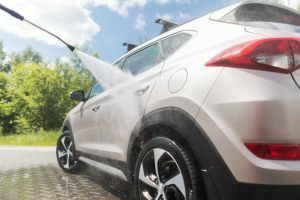 If you don’t mind the noise of the motor (which is just a bit louder than normally found) then you’ve got a pressure washer which will satisfy the needs of even the most demanding home user. 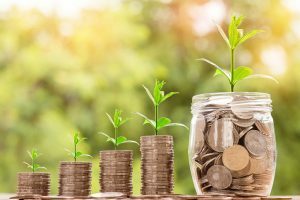 Just be sure to add the price of that extra connector to your purchase when comparing washers but we’re quite sure that you’ll soon see just how much value Sun Joe has supplied. sent weekly to your inbox.